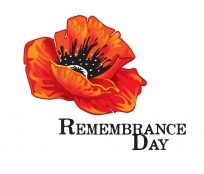 On Wednesday, November 11, the Municipal Office & Waste Site will be closed in honour of Remembrance Day. A Remembrance Day ceremony will take place at Tweed Memorial Park at the Cenotaph, beginning shortly before 11 AM, to remember those who have served Canada both locally and nationally. Following the ceremony attendees are encouraged to visit the Royal Canadian Legion Branch 428 for a Remembrance Day Open House.